The Macquarie University, Australia is pleased to invite applications from African students who wants to pursue an undergraduate or postgraduate degree program at the institution. How To Apply: Applicants don’t need to apply directly to be considered for a country scholarship. Applicants who meet the criteria will be automatically advised of their eligibility in their Macquarie University course offer letter. 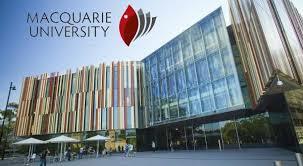 To apply to Macquarie University for a coursework degree, CLICK HERE.